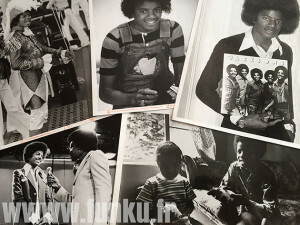 BOOK : Pre-order “Forever Michael” ! Thank you for your kind messages and huge interest in Forever Michael, our first collector’s book dedicated to Michael Jackson’s young days ! Pre-orders for both Deluxe and Regular versions are now available. Books will be shipped next june ! 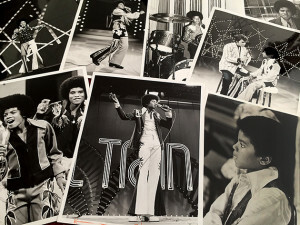 The 52-pages collector’s book (21×21 cm – 8,26 x 8, 26 inches) contains 48 rare and never-seen-before full spread black and white pictures in a white heavy cardboard case. Each boxset (Size : 27×27 cm – 10,6 x 10,6 inches ) contains a vintage photo print in A5 format. Each boxest is hand-numbered from 1 to 50. Every buyer can chose his own vintage print from our 70 pictures personnal collection. The first buyer will have access to the whole collection, the second to 69 pictures and so on. 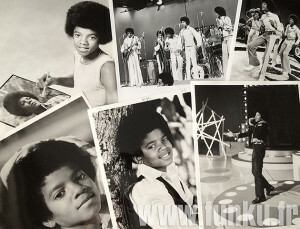 Each picture is a vintage original print from the 1970′s. Some of them might show slight alterations and marks, but they are all in great condition and the majority of them are available in our book selection ! Copies will be shipped in June in a safe cardboard package sent by registered mail. We can also meet Parisians buyers to give them the book from hand to hand. The 52-pages collector’s book (21×21 cm – 8,26 x 8, 26 inches) contains 48 rare and never-seen-before full spread black and white pictures. We can also meet Parisians buyers to give them the book from hand to hand. PAYPAL ONLY FOR OVERSEAS CUSTOMERS.